Two things happened yesterday. 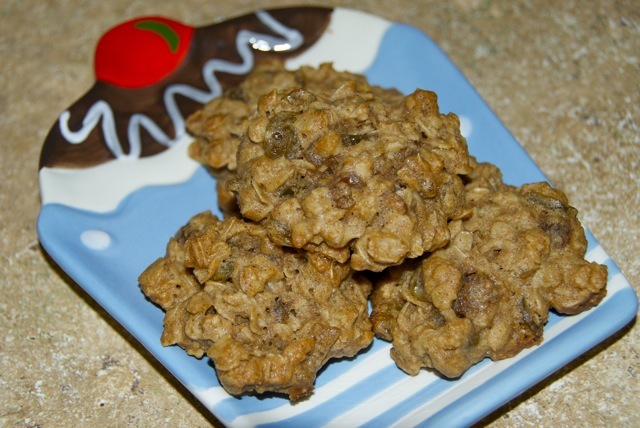 First, Nick’s Aunt Diane emailed me, telling me she was making oatmeal raisin cookies (using whole wheat flour, under my influence, woo!). This had me thinking about oatmeal cookies all day long. Then, as I was updating my Recipes Page (you’re welcome), I noticed how few dessert recipes I have on the blog. It had to have been a sign or something, that I should be baking cookies. And so I did. I had a problem, though. No butter. So how do you make cookies without butter? Google time! 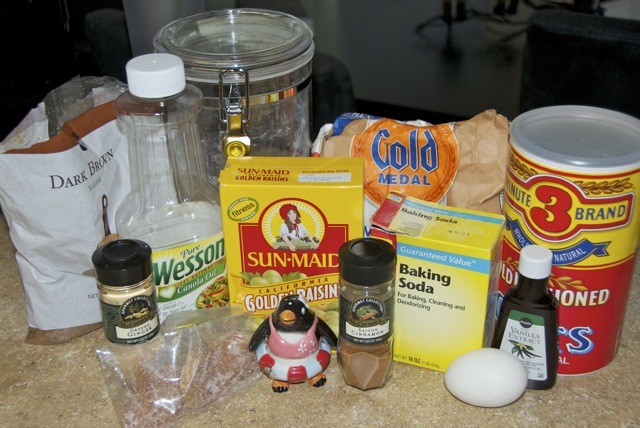 While I was searching around, I started seeing recipes for ginger cookies (my favorite). The wheels started spinning. 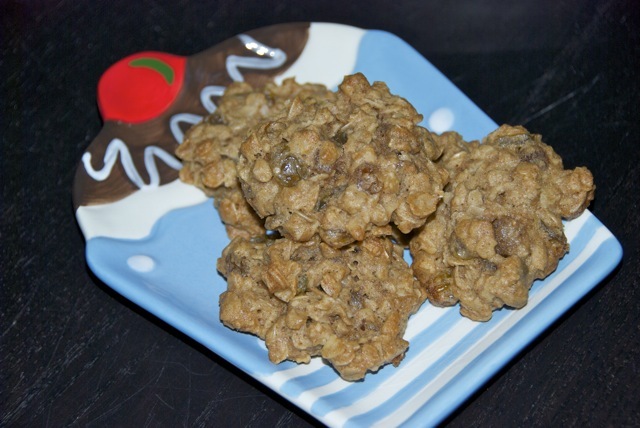 Ginger oatmeal cookies? Yes, please. So here they are. 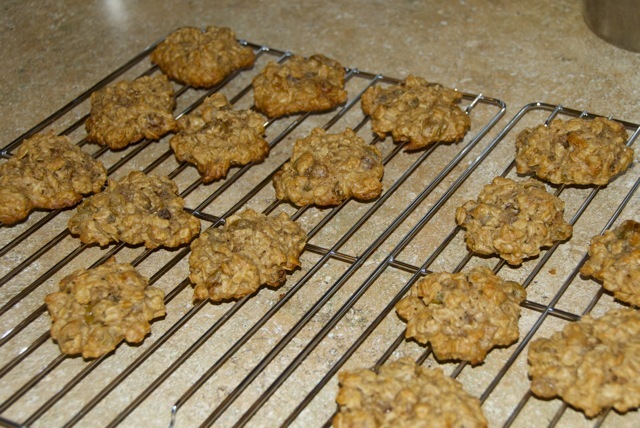 Oatmeal cookies with ginger, whole wheat flour, and no butter. Preheat oven to 350 degrees. 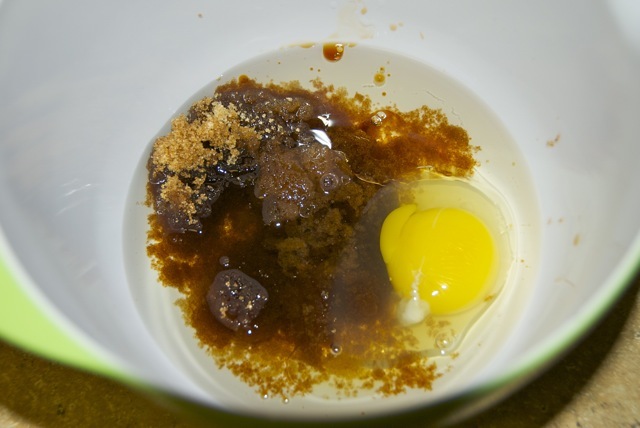 In a mixing bowl, combine oil, sugar, egg and vanilla. 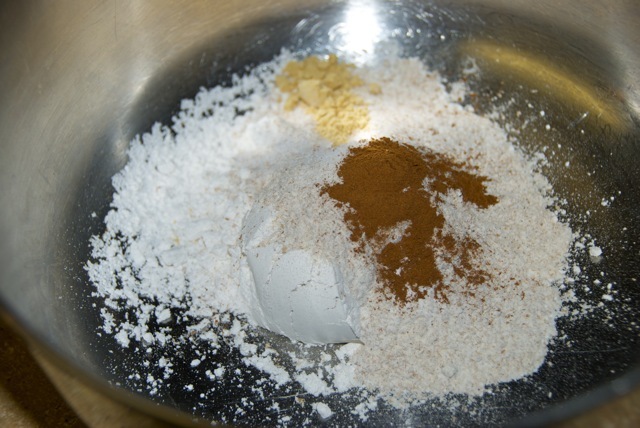 In another bowl, combine flours, baking soda, salt and spices. Add wet ingredients to dry and mix well. 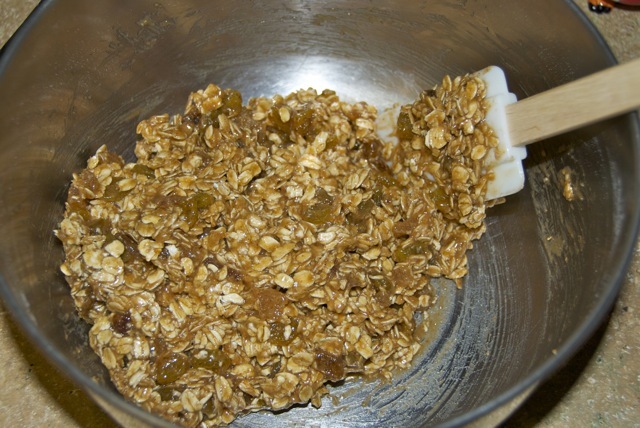 Mix in oats, raisins and ginger. 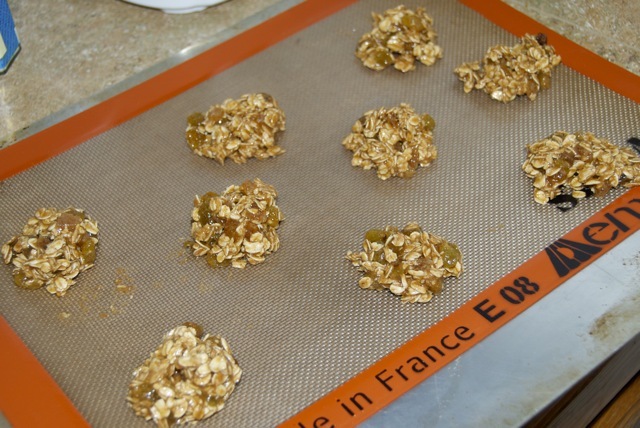 Drop large spoonfuls onto a baking sheet (greased or covered in parchment or a silpat). Bake 10-12 minutes until just brown on the edges. 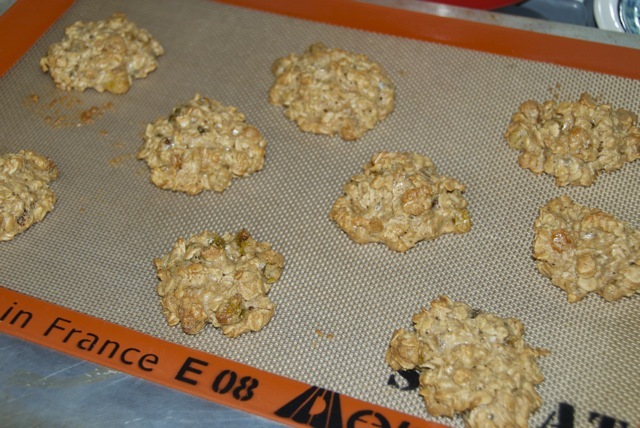 Cool for 2 or 3 minutes on the pans and then transfer the cookies to a cooling rack. I loved the ginger in these. Next time I’ll actually add more. I wished there was a chunk of ginger in each bite! You definitely noticed the lack of butteryness. I’d use butter if I had it, but the canola oil saved me a trip to the grocery store and worked in a pinch. haha… the trail mix isn’t a RECIPE, per se…. and I updated the page BEFORE posting this one, so it’ll go on in the next update. 😉 but yes, I do need excuses to make more desserts!